Author & historian Alex Kershaw joins War History Online as Guest Blogger! 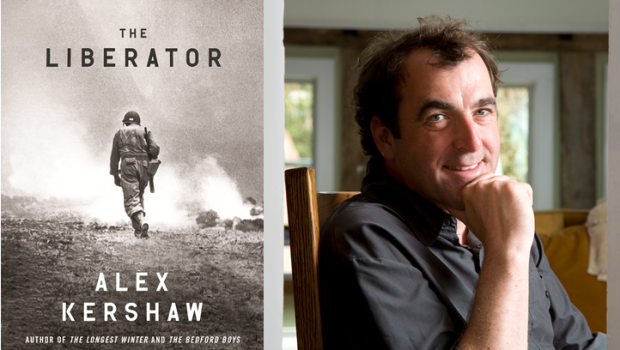 Since the publication of the instant classic The Bedford Boys in 2003, the journalist, documentary maker and writer Alex Kershaw has continued to produce best-selling books on a varied range of subjects from American pilots in the Battle of Britain to the story of the fabled Raoul Wallenberg, the Battle of the Bulge and the life of the great Robert Capa. His next book, Avenue of Spies, will be published this August. The book tells the story of Nazi occupied Paris where American resident Dr Sumner Jackson helped smuggle downed Allied flyers out of France and worked with the French Resistance until the Germans discovered his secret, putting both him and his family in danger. Now we are pleased to say Alex has joined our team of guest bloggers – the Blog squad – and we can look forward to reading his thoughts on a wide range of military history matters on War History Online.